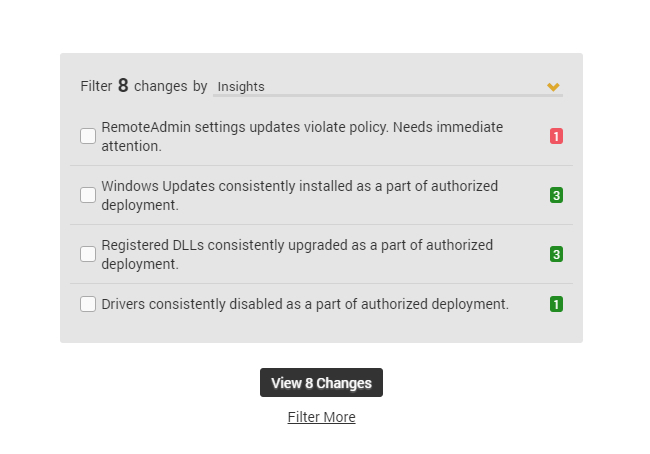 What's new in Evolven 6.0? We're launching Evolven 6.0, our greatest release ever. Evolven 6.0 introduces a patented machine learning analytics that delivers actionable insights in just a few clicks. Simple and easy as 1-2-3. Easy entry point for performing any task. You can quickly get answers by using our new task driven interface. Automatically slice and dice changes. 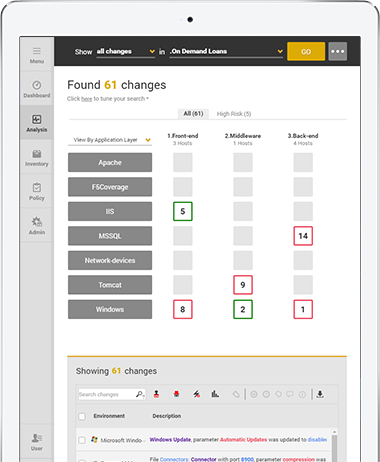 A completely new change map allows users to slice and dice changes according to a user role, priority and issues. 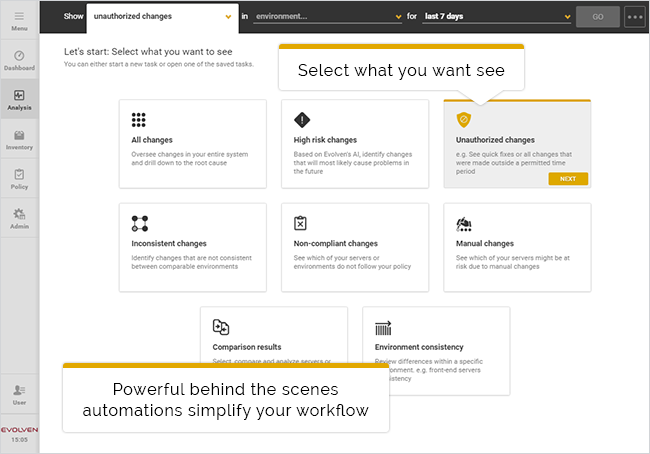 Smart filtering allows you to zoom in on various perspectives (unauthorized, non-compliant, inconsistent change). Actionable insights in just a few clicks. 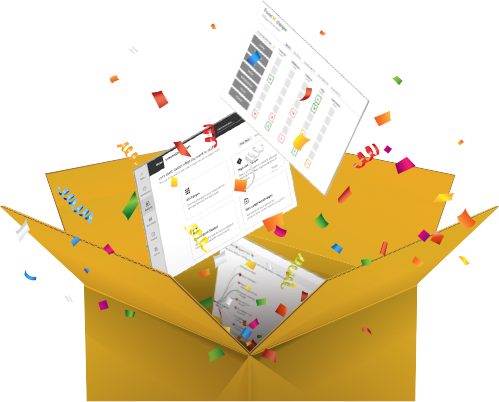 Evolven 6.0 is our greatest release ever. 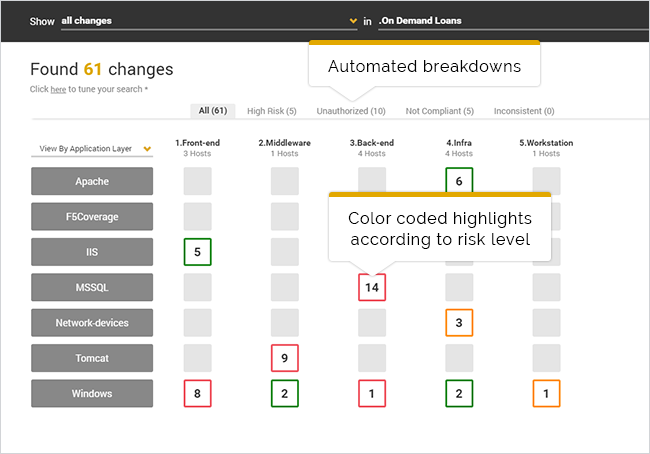 See how our patented machine learning analytics deliver actionable insights in just a few clicks. 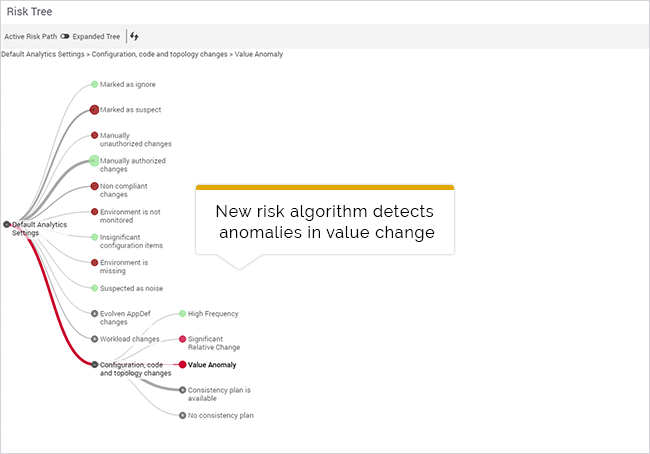 Automatic machine learning insights report on anomalies and high risk changes – turning piles of data into actionable insights. Natural language description of changes. Evolven’s natural language engine makes it easy to understand granular changes, including their context, scope and details. 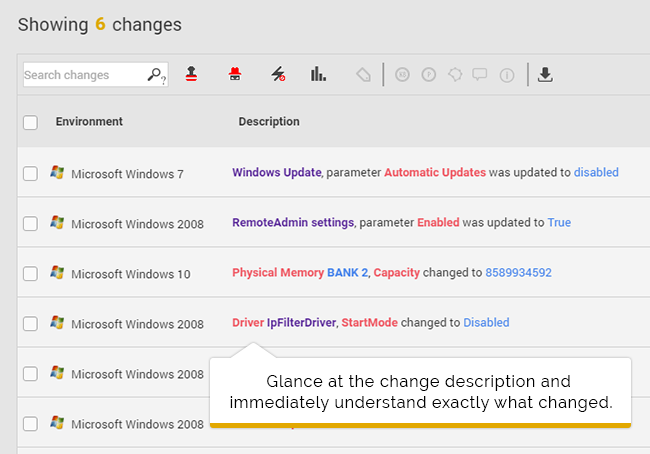 Users can now glance at the change description and immediately understand exactly what changed, even for the most complex environments and the most granular changes. Analyze changes in performance and availability. Evolven uses machine learning to identify changes in performance and availability metrics and assess their risk. 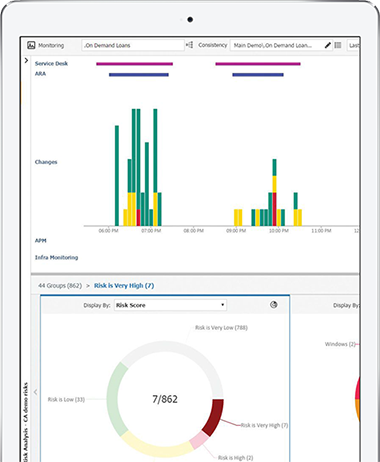 Leverage performance and availability data through integrations with existing tools. Translates this data into changes in system behavior. 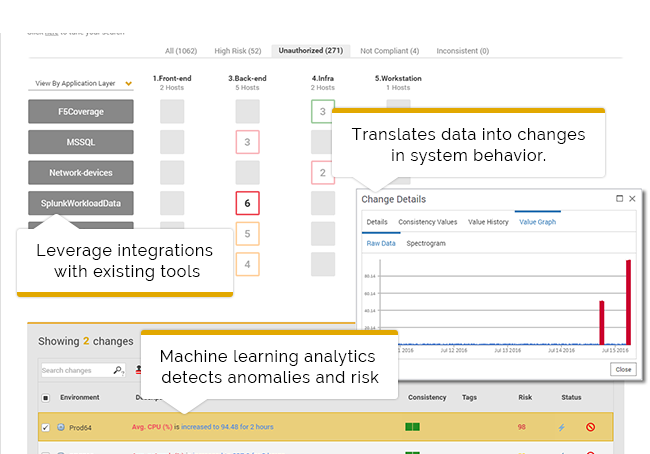 Machine learning analytics detects anomalies and calculates risk.